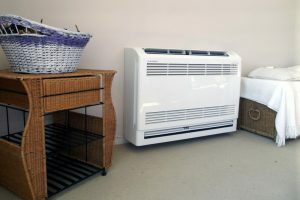 Don't Skip Heat Pump Maintenance! | Clean Air Act Inc.
« Why Isn’t My Furnace Starting? Like with any machine, too much dirt and grime can prevent things from running efficiently. It’s no different in the case of a heat pump. The most common problem caused by excessive dirt and dust is a general loss of airflow. In turn, that means reduced heating and cooling power. It also means additional stress placed on the system, since the heat pump will be working harder to operate at standard efficiency. The usual culprits include dirty air filters, coils, and fans. Changing the air filter regularly—about every three months—can help prevent dust and dirt from ever becoming an issue in the first place. If you haven’t been so diligent about that, however, then you can benefit from a thorough maintenance tune-up. The technician will be able to get deep inside the system to clean off the sensitive parts that might be ruining your efficiency. Refrigerant is as important for your heat pump as blood is for our bodies! This analogy also helps illustrate the point that you should never have to “replace” or “top off” your refrigerant under normal circumstances, which is a common misconception. The only time your heat pump would be lacking refrigerant is if it was never properly charged in the first place or if it develops a leak. Fortunately, a maintenance check is something that can clear out either of these issues. Leaks aren’t super common, but they’re not exactly uncommon either. Loose fittings around the refrigerant line or the right combination of chemical contaminants in your airspace can create corrosion, leading to pinhole leaks, which will only get bigger as time goes on. The heat pump is able to switch between cooling and heating modes thanks to a reversing valve. It’s also what allows you to switch the device from one mode to the other. A broken reversing valve isn’t going to cost you a fortune, but it can force your heat pump to be stuck in one position. Depending on which season you’re in, you can understand how that can become a big problem! Fortunately, this is something that can be looked at during a tune-up. It might simply be stuck and will need to be manually opened and reset. Is it time for heat pump maintenance? Contact The Clean Air Act today to schedule an appointment for service.